1940S: Primate Lying Down. Primate Eating. Primate Looking Around. 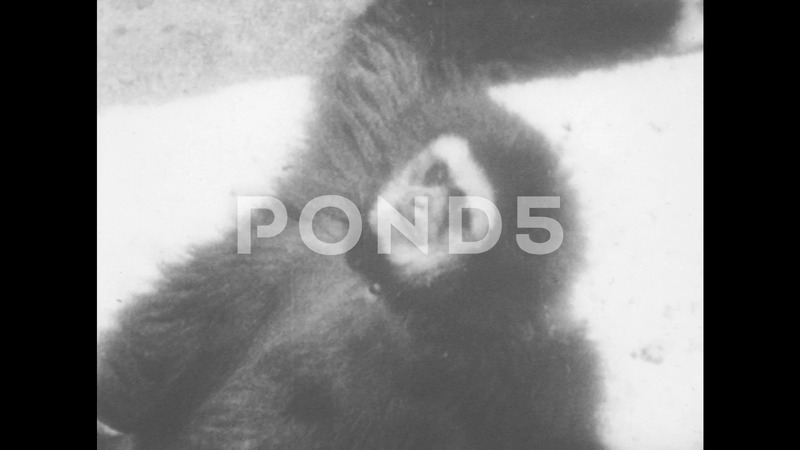 Description: 1940s: Primate Lying Down. Primate Eating. Primate Looking Around.